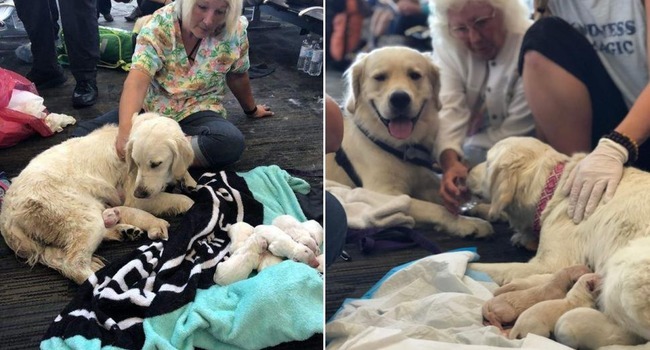 It was a boy — seven times — plus one girl for Eleanor Rigby (Ellie, for short), a service dog who went into labor unexpectedly as she and her owners were waiting to board a flight at Tampa International Airport. Personnel with the Tampa Fire Rescue, which documented the birth on Twitter, helped Elle to deliver her puppies. The puppies’ father, also a service dog, was on-hand for the birth, as well. Although her humans missed their flight due to the birth, they were happy that Ellie and the pups were doing well and now plan to drive the 1,000-mile journey with the 10 dogs in tow, according to reports by the Miami Herald. 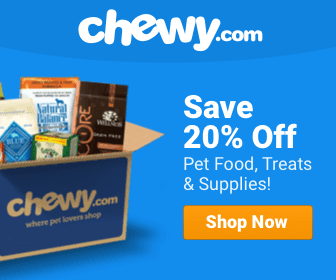 Why was a very pregnant dog on the flight to begin with? They had no idea how far along she was! So… she wasn’t spayed and she got bred “somehow” and they don’t know how or when? She also clearly got zero medical care during her pregnancy or they would have had at least an estimated due date. AND even though she was surely looking VERY pregnant they thought it was a good idea to fly with her.